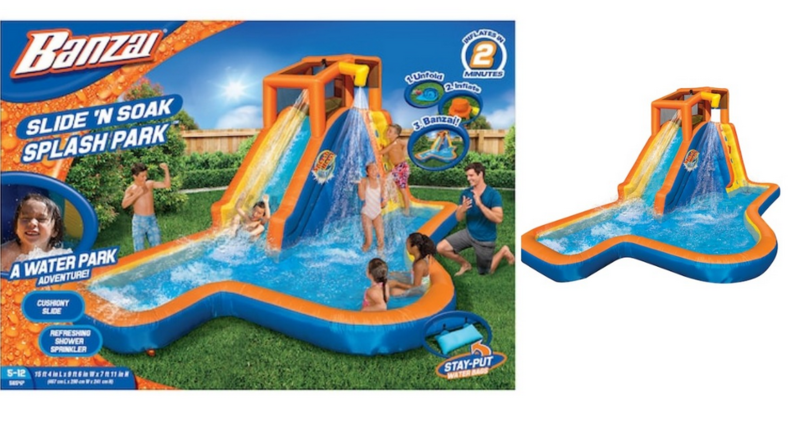 Head over to Kohl’s where the Banzai Slide ‘N Soak Splash Park is on sale for $349.99, regularly $599.99. Even better, through 6/10 you can use coupon code JUNESAVINGS to get an extra 20% off on orders over $100. Also, you can get $50 Kohl’s cash with this purchase to use 6/18 through 6/24. This makes this fun water toy $229.99 after these offers, perfect for summer! Coupon code valid through 6/10. Shipping is free.